Workshop delight is a series of furniture objects sprung from workshop leftovers. The imperfections of the used materials trigger me to think of different connection techniques. 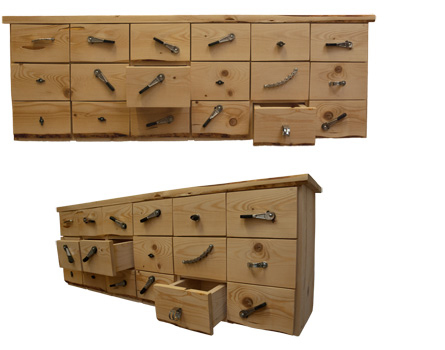 This cupboard is made with recycled wood from a floor and Peugeot bicycle-parts.